A project management tool with a user­friendly interface, Backlog provides comprehensive features that are friendly for users who are familiar and new to project management alike. It is integrated with Gantt chart and Burn down chart to keep task schedules and progress in check, WebDAV file sharing for group collaboration, wiki, and version control for change management. Backlog, which also rolled out two Chinese language versions (Simplified and Traditional) last year in 2013, has over 180,000 users worldwide, with more than 94,000 projects created. The addition of the Korean language has always been in the pipeline, since South Korea has a strong tech market and consumer base. Language and payment localization would not only draw new users, but also greatly benefit existing users as well. 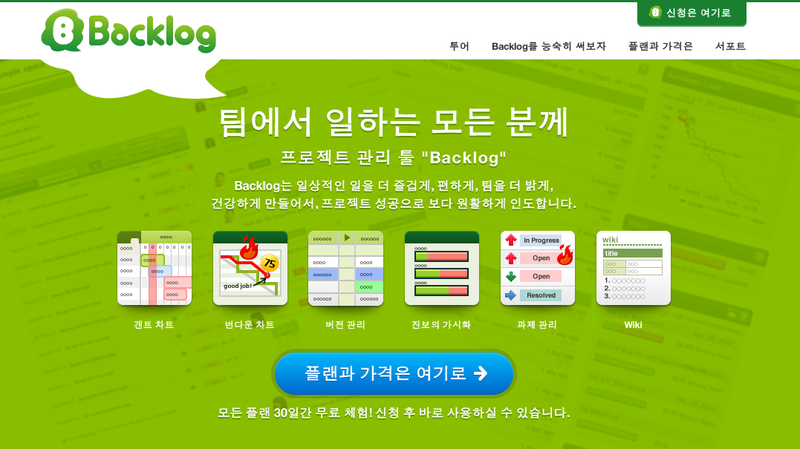 Users who wish to use Backlog in the Korean language can simply navigate to “Language and Time” settings on Backlog, and set language to Korean. Backlog currently also offers other languages including English, Japanese, Simplified and Traditional Chinese. It can also be expected that more languages will be rolled out in future, as Backlog strives towards becoming a multilingual service for a global market. Backlog can be used free­of­charge for primary functions as well as 100MB of storage. Alternatively, users can choose from three different paid package plans (Basic, Premium, and Max) for more advanced features and storage space. Nulab Inc. is currently offering a 30­days free trial of any paid plan to all users. Backlog first launched its service in July 2006 as a project management tool with a focus on team communication. Consisting features such as task management, wiki, file sharing, as well as version control, Backlog provides a simple and comprehensive user interface for its users. Nulab Inc., established in 2004, is an agile software development company with the goal of enabling and fostering effective work collaboration by providing collaborative software tools such as Backlog, a project management tool; Cacoo, a web­based drawing tool; and Typetalk, a collaborative chat app.